I’m writing. Are you writing or at least reading? NaNoWriMo continues. It’s almost as if I can hear the tap-tap-tappity-tap of eager fingers flying over keyboards all across the nation, or maybe the whole world. Cool beans! 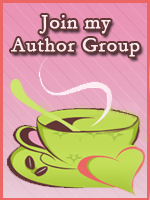 On another note, I’m out and about this next week on at least two other blogs: PFHT and Savvy Authors. I’ll post links to those as they happen. If you happen by The Romance Studio or TRSBlue, check out my cover art ads in the sidebars for Bittersweet Obsessions (TRS) and Phantoms & Fantasies (Blue). And to all of you – I hope you’re having a fabulous weekend! It’s chilly, but beautiful here in north Arkansas these days. We still have lots of beautiful foliage on the trees. How is it where you live? This entry was posted in Annie Rayburn, Carol Burnside and tagged Challenge, guest blogging, NaNoWriMo, nanowrimo, Writing. Bookmark the permalink.